The N-Acetyl-L-Cysteine (NAC) nutritonal supplement is a powerful antioxidant which has been shown to be useful in increasing glutathione levels. The glutathione synthesis in the liver has an important function in metabolically clearing poisons. 1 Nutri N-Acetyl-L-Cysteine capsule three times daily, after meals, or as professionally directed. None known if directions are followed. 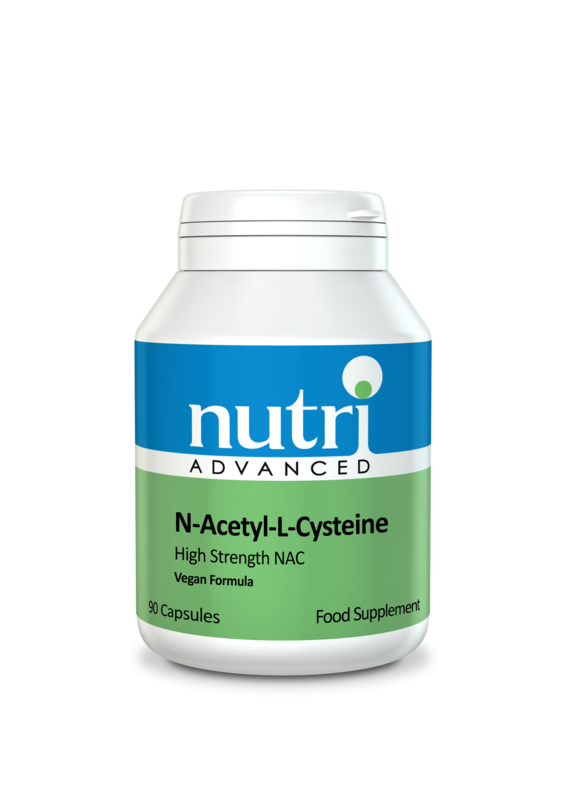 A non-toxic derivative of the amino acid L-cysteine, NAC is a dietary precursor to reduced glutathione, which is important for metabolic clearing. NAC has a high bioavailability and can therefore be utilised by the body more efficiently. It is stable and therefore is an excellent way of building up reduced glutathione stores. Reduced glutathione has been recognised by its ability in helping with immune function. Useful as an antidote against acetaminophen (paracetamol) hepatoxicity due to overdose. NAC has been shown to help with congested lungs by naturally lowering the viscosity of the mucus. Rapidly absorbed and primarily distributed in the kidney, liver and lungs. This information is not intended to replace the advice of a qualified Healthcare Professional.